The sun was hiding behind the hills that once were the back up for the Buddha’s largest statue overlooking Bamyan valley. As the weather was cooling down, the number of people coming together was getting denser. Shahr-e-Ghulghula, the city of screams, was full of people to celebrate the first evening after Bamyan was officially named as SAARC Cultural Capital for 2015. The city’s architecture still reminds of pre-Buddhism, Buddhism and Islamic civilizations even after several destructions by invading armies. Genghis Khan ordered to completely burn down the city after his grandson was killed by the local defenders who had taken strong in the city, which is partially repaired and restored by International Council on Monuments and Sites (ICOMOS). 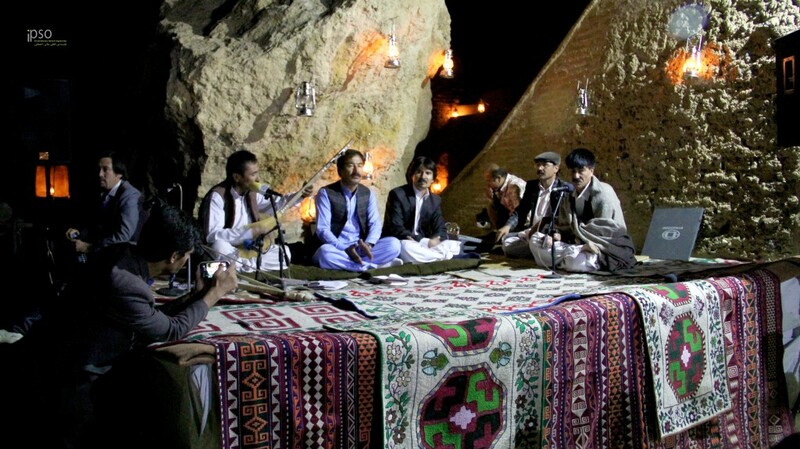 Shahr-e Ghulghula was lighted up by the yellow lights of hurricane lamps and the music of local Dambora was breaking the silence of the evening. The people were celebrating their city’s status as a cultural capital. Here and there you could see that Bamyan is a world of wonders, thousands of secrets buried under each rock, wall and cave. 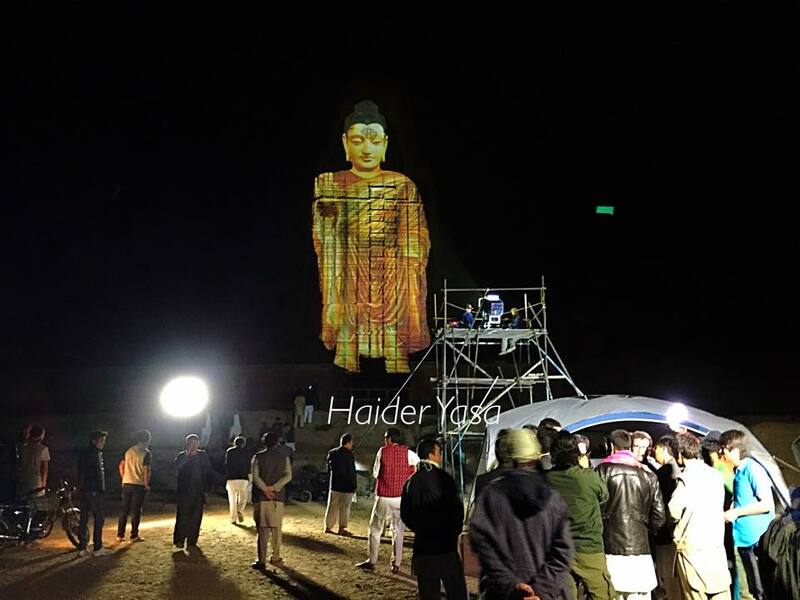 The next evening (June 6, 2015) brought also unforgettable moments for the people of Bamyan: A group of Chinese engineers were working the whole day in front of the empty place of once largest Buddha’s statue in the world. In the evening, people were waiting to see a projected image of Buddha filling the empty place at least during the night time. 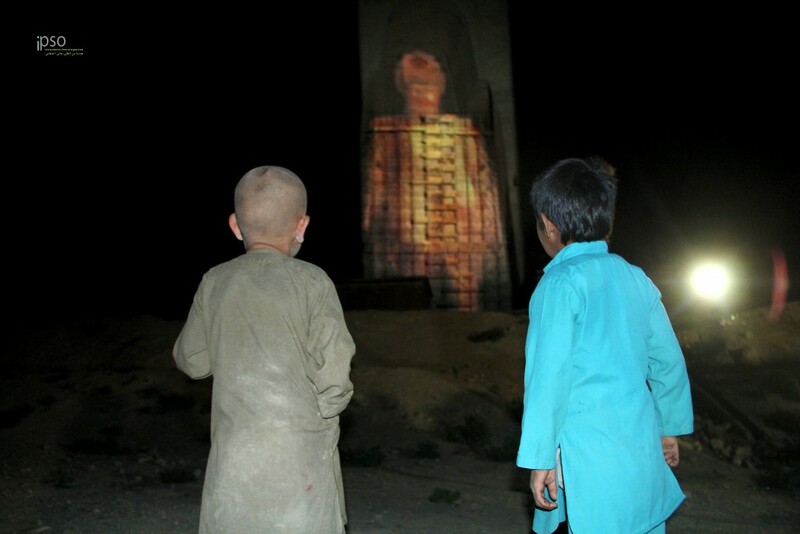 A Chinese couple had traveled to Bamyan to visually restore the statue that was destroyed in 2001. Now they had made their dream come true. 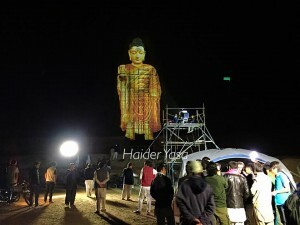 The Buddha’s statue was visually restored and projected in its place. People were shouting out of happiness. Soon a local musician was singing and people dancing around him. They had missed their Buddha for many years and now it was restored visually in its place overlooking the city. 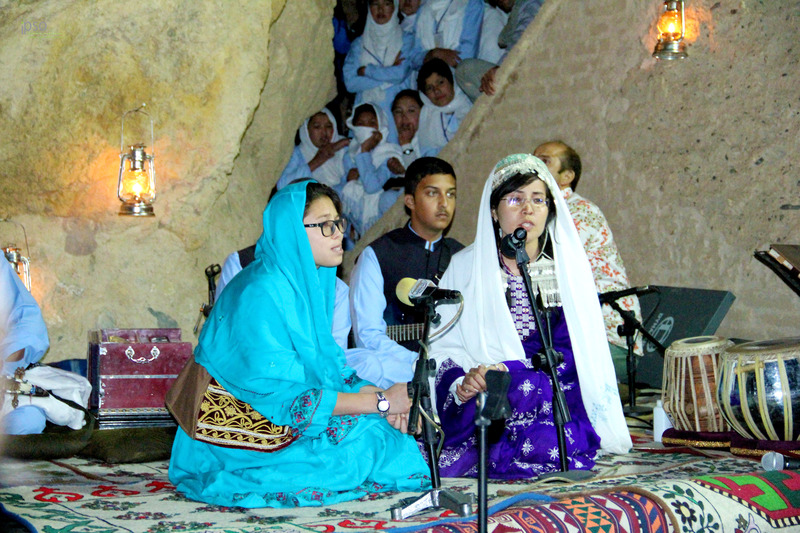 Theatre performances, local music and dances were the other vivid parts of this big cultural event. 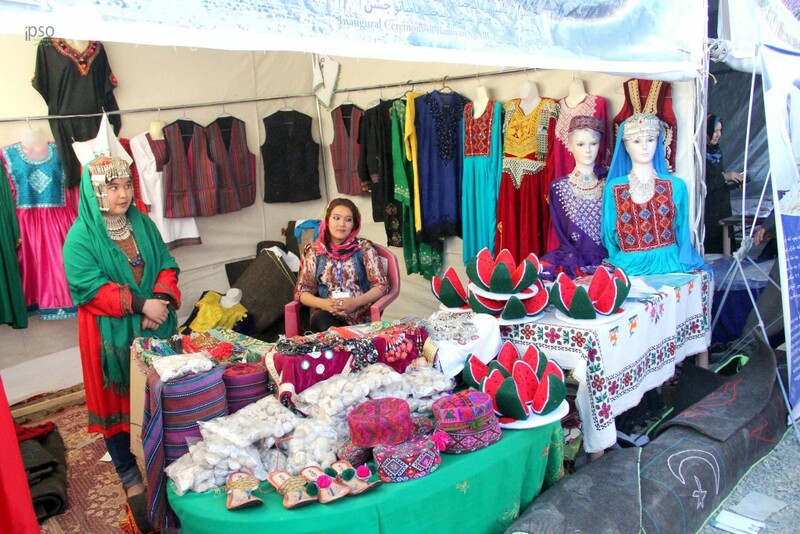 Handicrafts and local products exhibition from 34 provinces represented Afghanistan during this event. Bamyanis have always been waiting for such a great cultural reputation for their city. They hope the acknowledgement of their city’s cultural reputation, will give them a level of prosperity. They are also hoping for attention by the Afghan government, investors and internal agencies to develop infrastructure for this historical city which is hit by grave poverty. 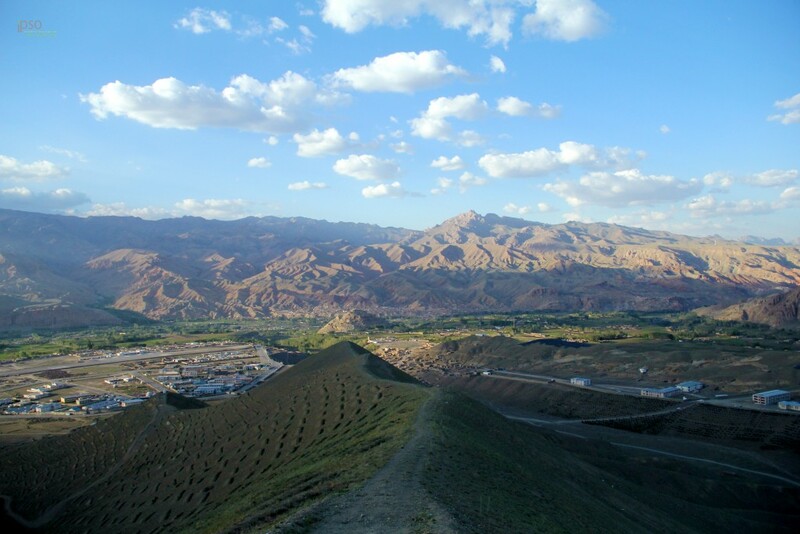 Although the roads reaching Bamyan are insecure, once entered the city it is clearly felt that Bamyan is a different city as you think the spirituality of Buddhism is still prevailing over the valley. The amazing natural landscape fascinates any visitor from the first moment. 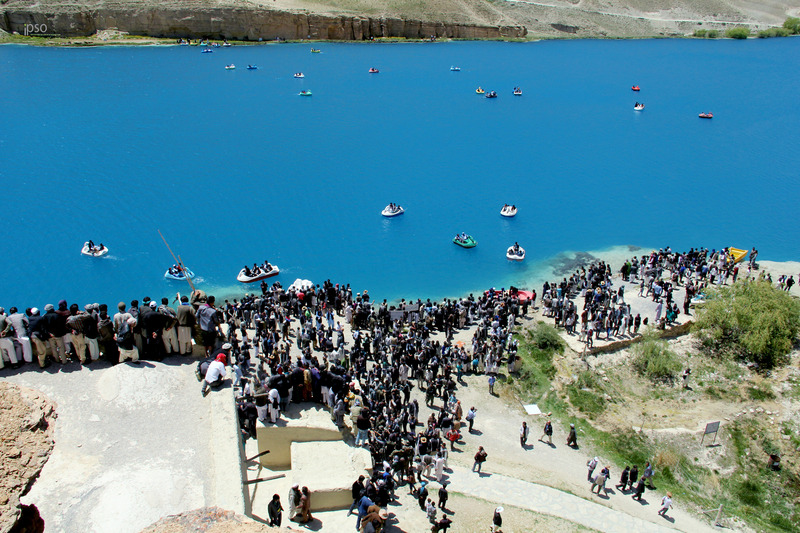 Bamyan was named as the South Asian Association for Regional Cooperation 2015 Cultural Capital in 2013 and now the city was prepared to host inauguration ceremonies starting from June 5 till June 6, 2015.